So who am I? | Welcome to MooMooZoo! Well what can i say about me? July 2006 I married a wonderful guy named Craig. Sadly it wasnt meant to be and we separated in December 2010. In October 2006 we moved to Melbourne when i was 34 weeks pregnant with our first child. May 2011 Im now seeing a wonderful guy, Ben. Love him to bits and so do my kids. We live together in Melbourne. 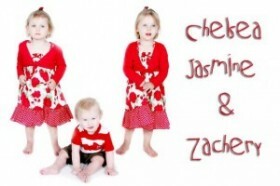 My 3 cherubs currently reside with their dad and I see them 4 days a week whilst he is at work. February 2012 Ben and I got engaged on Wednesday 22nd February! !